Brownells is proud to contribute to a custom 1911 package being raffled by Guns For A Cause, to help accomplished gunsmith Dave Berryhill in his fight against cancer. 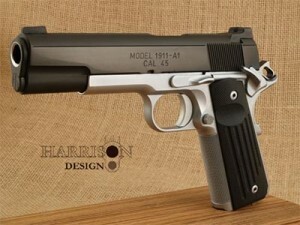 Valued at over $6,500, the 1911 package includes parts from both Elite Warrior Armament and Harrison Design, a sharkskin holster, mag pouch and magazines from Wilson Combat, a year’s free subscription to American Handgunner, ancient mammoth stocks from Brian Challis, and a T3 knife from Nighthawk Custom. Brownells donated a 1911 Critical Tools kit, containing everything needed to disassemble and assemble the pistol. Proceeds from ticket sales will help Dave Berryhill with medical expenses during his battle against the disease. Raffle tickets and contest rules can be found at this link. Raffle tickets are on sale through March 30, and limited to only 5,000 tickets. The drawing for the custom 1911 package will happen April 1, 2015.